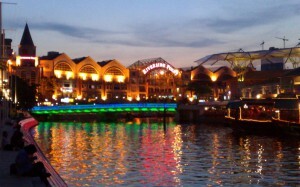 Clarke Quay is Singapore’s premier entertainment destination whether it is day or night. In here, you will see different establishments that will surely cater to your every need. Aseana Gallery is situated in Riverside Point. The place houses a wide variety of art collections from modern pieces to realist and impressionist pieces. The gallery is open from 1pm to 10pm every Monday-Sunday. The admission is free. If you are a patron of the art, you can choose to buy pieces for a price. You can visit their website at AseanaGallery.com. Princess Terrace is situated in Copthorne King’s Hotel. 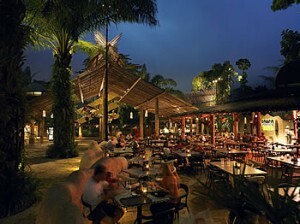 The restaurant boasts of Penang inspired cuisines like laksa, noodles, prawn and other mouth watering dishes. 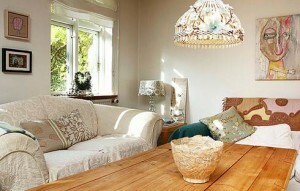 It is a perfect place for gatherings. The restaurant is open from Monday-Friday (6am to 10:30am, 12pm to 2:30pm and 6:30pm to 1am) and Saturday-Sunday & Holidays (6am to 10:30am, 12pm to 3:30pm and 6pm to 1am). Meals start at S$40 onwards. Zirca is situated in Block C, The Cannery. If you want to witness a live action, Zirca will surely excite you. They showcase live stunts and other performances. DJs play variety of genres from Trance to House and Electro music. You will surely experience ultimate clubbing. The club is open from 9:30pm-late every day. Services start at S$40 onwards. Brewerks is situated in Riverside Point. The bar is famous for its American-style foods and homemade beer brews. They are proud of their pizzas, steaks, burgers and T-bone. Services start at S$40 onwards. The bar is open from Monday-Thursday (12pm to 1am), Friday-Saturday (12pm to 3am) and Sunday & Holidays (11am to 1am). We are all aware that the world is full of waste. 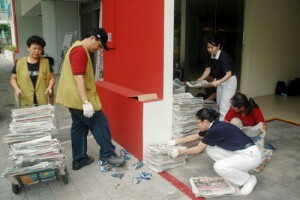 We should do our best to at least minimize our waste and contribute to cleanliness before it gets out of hand. In this line, the Singapore Environment Council (SEC) is doing its best to educate Singaporeans of how important it is to clean the environment and minimize waste with the use of recycling. Collection Centres. 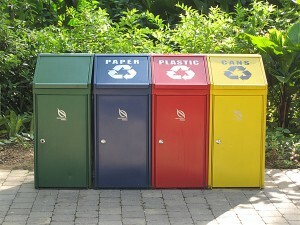 Recycling starts in the home, workplace, school and other institution. It is important that segregation is implemented. For biodegradable wastes, you should follow the collection days and make sure it is in the proper collection bin. The same should be done for recyclables (papers, plastics, glass and metals). Recycling of Mixed Items. Instead of throwing away things that can still be used, why not give it to Family Thrift Stores? You can also look for Donation Bins so you can help other people. Cash Converters. The good news is that there are many companies that allow customers to exchange items for cash. If you are interested, there are many stores or companies that offer this kind of service. 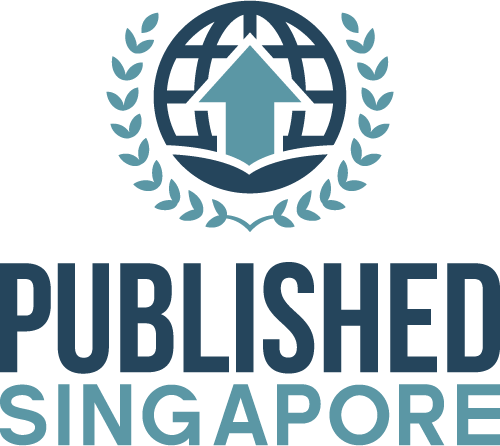 You can go to Cash Converters Admiralty at 70 Woodlands Ave 7 Admiralty MRT Station, Cash Converters Ang Mo Kio at Blk 7 10A Ang Mo Kio Ave 8 and Cash Converters Toa Payoh at Blk 192 Toa Payoh Lor 4. Recycling of Hand Phones. Instead of collection old hand phones, why not deliver it to the hand phone company? If you have old Nokia phones and accessories, you can deliver it at Nokia Centres. Motorola also accepts old Motorola products (hand phones, batteries, accessories, etc.). Recycling of Computers. If you have old computers, ink cartridges and printers, you can also drop it off at their centres. For example HP are accepting old products and recycles it. If you visited the Pernakan Museum and you want more, you should visit Baba House. Baba house shows in depth details about Pernakan history, architecture and tradition. At the end of the tour, you will surely gain additional insights into Straits Chinese. You will find it at 157 Neil Road. The house was given by Ms. Agnes Tan as a present to the National University of Singapore (NUS). The house was opened on September 2008. The first two storeys of the house feature sets of furniture (bed, chairs, tables, etc. ), wares, and intricate interiors. Furniture pieces belonged to the Wee estate and other Pernakan families. The third floor temporarily features exhibitions for practicing artisans and researchers. You can take a taxi, MRT or bus. Taking the taxi is most convenient but if you want to save money, MRT is fine. You just need to stop at Outram Park station. If you want to ride the bus, look for bus lines 167, 196 and 197. 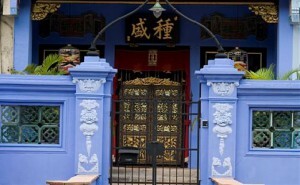 The admission charge for Baba Houses costs about S$10.00 for adults. For seniors, it is S$8, for 18 years and below, it is S$5 and for National University of Singapore students, it is S$3. This is crucial. Remember that you need to sign up in advance for the Baba House tour. Each tour will last for an hour. The house can cater to small groups (maximum of 12 people) because of the limited space of the house not to mention the delicateness of Peranakan wares. Tours are every Monday (2pm), Tuesday (6.30pm), Thursday (10am) and Saturday (11am). If you want to explore Singapore’s wilderness without the scorching heat, night safari is best for you. Night Safari is the first in the world and it is a popular attraction in Singapore. It covers 40 hectares or 99 acres of land nearby Singapore Zoo and Upper Seletar Reservoir. The night safari gives shelter to about 1,040 animals. You can watch Creatures of the Night Show or other cultural performances. There are tribal dances, fire dances and other demonstrations. The safari is divided into different geographical zones which can be surveyed by walking. The newest attraction-Wallaby trail, offers an Australian experience. In there, you have the chance to observe nocturnal animals found in Australia. Aside from that trail, you can also choose to observe and walk with animals like leopards, badgers and civets. Ride in trams and enjoy the 40 minute drive to the wild. You can get up close and personal to their lions, tigers, deer and more. There are available food and beverage outlets that you can find. You can choose from Ulu Ulu Safari Restaurant, Bongo Burgers and Ben & Jerry’s Scoop Shop. If you want to experience dining on the go, you can try Cocktail Safari Express and Gourmet Safari Express. You cannot be considered a local if you haven’t visited Jurong Bird Park. If you haven’t visited the Bird Park, it is not yet too late to visit it. To get to the Bird Park, you can take the Mass Rapid Transit (MRT) to Boon Lay. After reaching Boon Lay, transfer to SBS Transit Service 194 or 251. If you want, you can simply ride a taxi or have someone take you there. As mentioned earlier, there are about 5000 birds. Exhibits are divided according to sections. Some of the sections include African Waterfall Aviary, Southeast Asian Birds Aviary, Dinosaur Descendants, Lory Loft, Penguin Coast, Pelican Cove and World of Darkness. You can see owls, pelicans, penguins, swans, storks, ducks, ostrich, mynah, ducks and other birds. There are High Flyers Show and Kings of the Skies Show. If you want to see the performance of birds, you should consider the former. If you want to see the fierce eagles, falcons and hawks, the latter show is best for you. If you want to dine with parrots, you can. You will enjoy the company of an entertaining parrot show over lunch with a striking view of the Flamingo Lake. 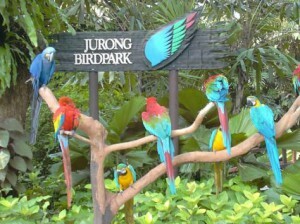 Aside from eating with the parrots, there are dining centres within the park that you can consider. If you are looking for souvenirs, shopping centres are visible in the park. You can now bring something home. Sun, sea and sand. That’s how most people define summer. If you are one of those beach lovers who just love to have fun under the sun, why not bring in the sun-sea-sand spirit and embrace the endless summer sun inside your home? Experience indoors summer by following these few easy steps to brighten up your home. Paint is always a good choice to revive a room. You don’t have to repaint the whole house. The main focal walls are just what you need to revive the atmosphere of the place. Have light shades of yellow, green and blue, these are all wonderful colours for summer. If repainting the walls is not your choice, you can put up summer printed wallpaper. As simple as blue and white stripes can already make the room look summery. Just imagine the striped wallpaper all over your walls with white furnishings such the coffee table and end table. You can also add glass bowls with seashells inside it on your centre table, and accessorize the couches with light blue pillows. If you don’t want the trouble of wallpapering and painting, you can still make your home look seasonal by adding extra accessories. Seashells are always an icon for summer so it would be best to add some to bring in the spirit of the beach. Flowers are also great accessories and never go out of style. Whether you go for synthetic or natural flowers, pick some in bright and vibrant colours to go well with the seasonal theme. Are you one of those tech fanatics who are craving for new gadgets and gizmos to enjoy and exploit? Well, here are some of the most awaited gadgets to come this year. 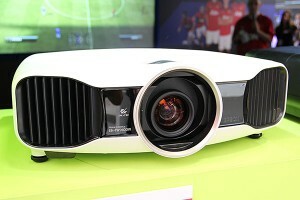 The new projector of Epson boasts an impressive contrast ratio of 320,000:1 that projects images in 3D at 2,400 Lumens. This modified system helps suppress any form of image quiver while keeping the 3D crosstalk checked. With your overly used iPhone – checking email, browsing websites, checking emails again, look at Google Maps, send Tweets… and your iPhone is drained out. 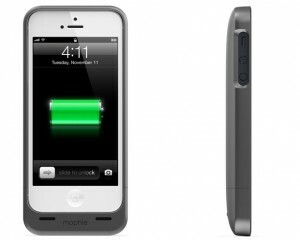 This battery-enhancing case will help boost your iPhone’s battery with its 1500mAh power. That’s enough for 30 hours of audio, six hours of talk time and seven hours of Internet surfing via WiFi. Plus, the casing offers an additional protection to your iPhone, too. Researches show that eating too fast is one of the major reasons why people gain so much weight. We eat too fast, not chewing the food properly, making it hard for the body to digest the food. 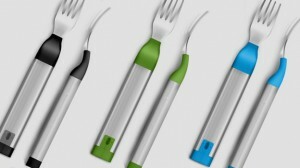 The HAPIfork helps control your eating habit by sending you flashing lights soft and vibrations if you’re eating speed is too fast. If music is your favourite past time, this sleek minimalist wireless speaker will keep your eardrums drumming. 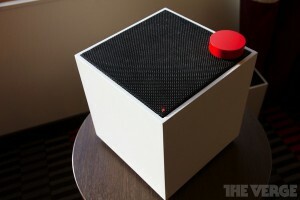 This 26x26x26cm cube-shaped speaker has Bluetooth and WiFi features with a class D 100w amplifier. Its unique rounded remote responds to pressing and twisting to increase or decrease volume.